ACR Electronics, Inc., maritime safety and survival manufacturer, has announced the appointment of a new Sales Manager within its Land and Marine Division for Europe, Middle East and Africa. In the latest addition to this growing company, Guillaume Delcourt will focus on expanding ACR’s international sales footprint in these geographic regions as demand increases for its popular range of 406 MHz beacons, AIS man overboard devices, distress lights and other safety products for the recreational and commercial markets. 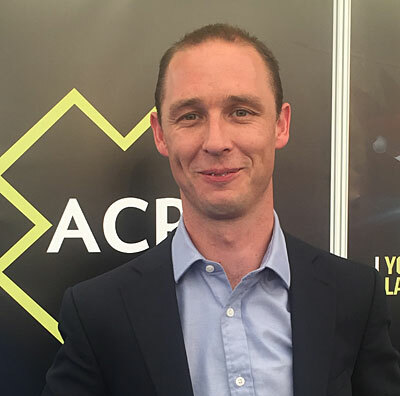 Guillaume brings several years of experience in the marine sector to his new role at ACR, including an impressive amount of European sales experience with a major emphasis with French OEM boat builders. He joins ACR following three years at marine equipment manufacturer Lewmar and three years as International Sales Manager at Karver Systems, covering Europe, New Zealand, Australia, South Africa and the US. In a previous role, he also managed equipment logistics for the Extreme Sailing Series Europe based on the Isle of Wight. ACR has manufactured lifesaving equipment for recreational and commercial mariners and vessels, military forces, and aviation and space programs for more than 60 years. ACR beacons have been activated to save thousands of people at sea and on land. Its range of safety products for commercial operators and crew include the award-winning ACR GlobalFIX™ V4 Emergency Position Indicating Radio Beacon (EPIRB), the ACR Pathfinder PRO Search and Rescue Transponder (SART), Firefly Pro SOLAS personal distress lights and its AIS man-overboard beacons.